Takeout is one of those things that can be a budget and gut buster. While you can make healthy choices while eating out, sometimes it’s better to just cook at home to save money and a lot of calories! Here are a few recipe ideas that you can have cooked before you’d have time to order and pick something up from a restaurant. 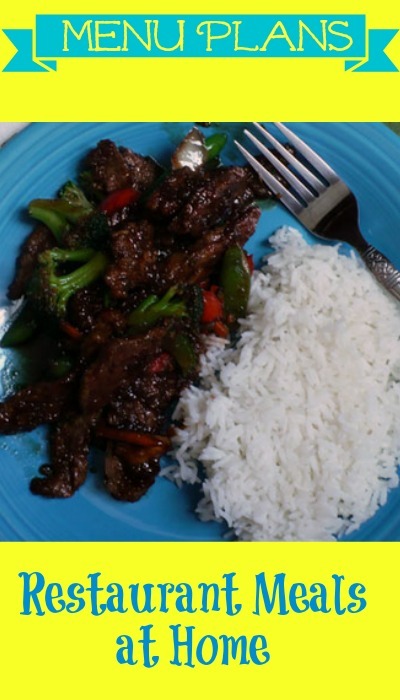 Thanks to Sneaky Spoons for sharing her Mongolian Beef Recipe last week! If you are concerned about the points, reduce the oil used for frying like she suggested. Or you could stretch it to 4 servings with extra veggies like peppers and broccoli. Regardless, it’s much healthier than the Mongolian Beef you’d find if you went out to eat! What are your favorite restaurant meals to make at home?